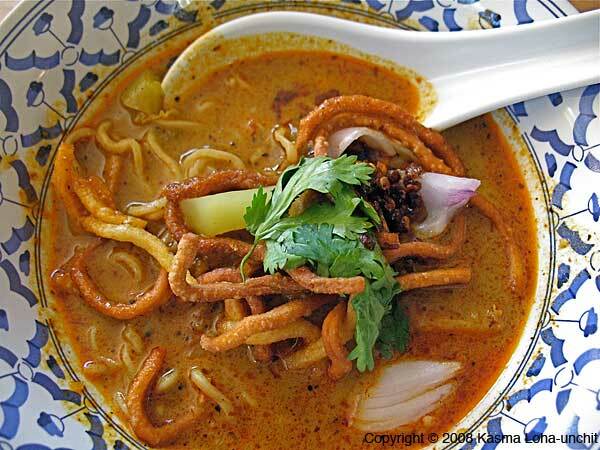 This is a wonderfully rich and delicious noodle dish, found mainly in the north of Thailand. Also available: Kasma's feature article on Northern-Style Noodles. If you're in Thailand and in Lampang, you can get Kao Soi at a great Lampang Noodle Shop. Kasma teaches this recipe in the Evening Series Advanced Set B-1. Recipe Copyright © 2008 Kasma Loha-unchit. All rights reserved.